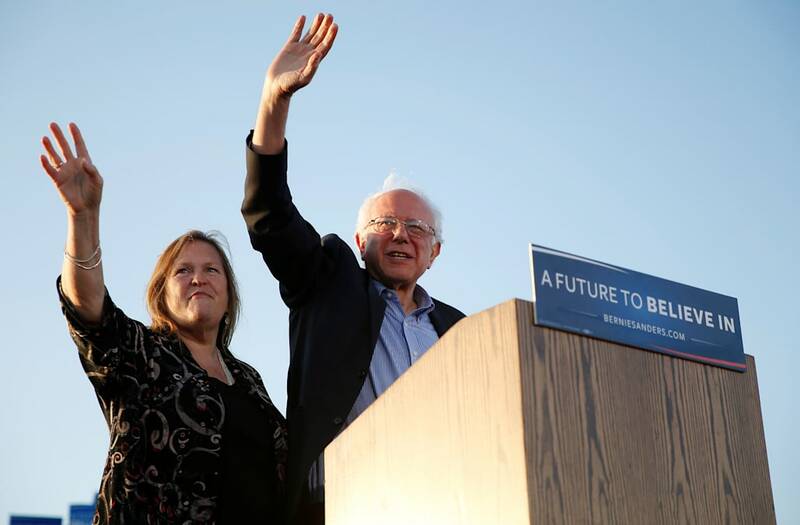 The FBI investigation into a land deal brokered by Jane Sanders is heating up, the Washington Post reported Monday, an inquiry that could potentially imperil husband Bernie Sanders' political future. The investigation into Jane Sanders, who served as an adviser to Sen. Bernie Sanders (I-Vt.) for both his Senate and presidential bids, centers around a land deal she brokered while serving as president of Burlington College, a small and now-defunct school in Vermont. Sanders is accused of fabricating the amount of money prospective donors had pledged to help the school secure the purchase of a $10 million plot of land on Lake Champlain. She told the school's board of trustees that donors had promised $2.6 million in donations for the land deal; however, when trustees contacted the donors, they said they never agreed to give the amounts Sanders had listed, the Post reported. According to the Post, federal investigators collected more than 20 to 30 boxes of the school's business records in April. Six people have been contacted by the FBI or federal prosecutors, and at least one state official has been called to testify before a grand jury in the case. Jeff Weaver, who served as campaign manager for Bernie Sanders' 2016 presidential campaign, told the Post that Jane Sanders did nothing wrong. Weaver said the investigation is "right out of the Benghazi playbook" — a reference to the years-long investigation into former Secretary of State Hillary Clinton, which helped uncover her use of a private email server that dogged her presidential run. Weaver also said the reason Jane Sanders hired a lawyer was strictly for fear that President Donald Trump's Justice Department would target her to try and harm her husband's potential bid in the 2020 presidential race, which the senator has yet to rule out. "While the Obama administration was in office, I don't think anyone thought that these baseless allegations warranted hiring a lawyer," Weaver said. "But with Trump and [Attorney General] Jeff Sessions at the helm, that's a very different situation."